Acne is a condition that can affect anyone at any stage of life. While more common in teenage skin, adult acne also blights thousands of people. There are hundreds of skincare products on the market that promise to help acne but often they strip the natural oils and dry out the skin, exacerbating the problem. There are also medications that can help but these often have unpleasant side effects like depression and suicidal thoughts. Surely there’s a better way? Here are our top three ways of how to treat acne the natural way, with scientific backing to show that chemicals and medication isn’t always the best approach. Used together, they help to reduce bacteria and inflammation to treat skin from the outside, and help to prevent acne from the inside. The best way to use tea tree oil to help treat acne is to dilute it with water (approx. one part tea tree oil to nine parts water) and dab it directly onto the head of each pimple with a cotton bud. Leave to dry naturally. Green tea is drunk for its anti-inflammatory and antioxidant benefits in the body, and can also be applied topically to the skin to help treat acne. Brew green tea leaves in boiled water for 2-3 minutes. Allow the tea to cool and then use a cotton wool pad to gently dab the liquid over the face. Leave on for 10-20 minutes, or overnight, and then rinse with water. 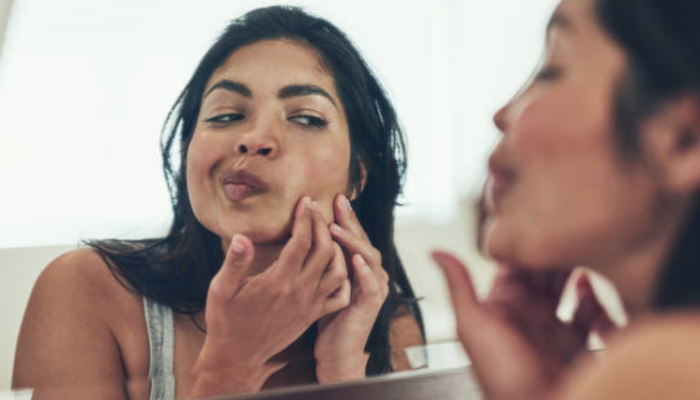 It takes around 4 weeks to make new skin cells, and there is increasing evidence to support the fact that certain nutrients not only contribute to healthy skin but can also help to reduce and prevent acne by feeding skin from within. The Potion London Beauty Formula contains zinc as well as 18 other nutrients and antioxidants to help give you clear, healthy skin. Click here to find out more.